Whether the device is bricked, or users want to upgrade or downgrade their Samsung smartphone, the Odin Tool always a handy solution. Odin enables users to flash any Stock ROMs or Custom ROMs, with DIY method, without any need to leave the phones at smartphone at a service center. Sometimes, the Samsung phone starts shutting down all of a sudden, and apps getting crash, or overall operation seems buggy. The one stop solution to all these problems is always doing a latest firmware updates, which comes with latest bug fixes and enhancements. Updating software on smartphone helps to run the operating system smoothly, and adds new features, including hardware functionality, security patches etc. In this tutorial, we will guide you through the process of installing any custom ROM firmware on Samsung smartphone. We recommend you to go through step by step, without skipping anything, to be on the safer side. This tutorial is simple and easy to understand, and don’t require any deep technical knowledge, just you need to go through the each step carefully. If you want to flash the Custom ROM firmware based on Samsung ROM, or Stock ROMs, or want to update your smartphone, then follow this guide. Note/ Caution! : Always Download respective firmware update file, which is exclusive to the each device from Samsung servers. Odin is a powerful tool, and requires extra care at every step. If Odin fails in between the process, or have been tried by inexperienced users without following the steps carefully, may result as a bricked device and making it useless. However, Odin can restore the devices from messed up condition and can restore the device. Updating or flashing the Stock ROM firmware updates via Odin, certainly without any doubt comes with risk to brick device. If you brick the device, while upgrading the firmware of your smartphone, then kindly be in touch with the Official Service center of Samsung near your location. AndroidWeblog.com in no way will be held responsible for warranty void or your bricked device. Download Latest Samsung Odin ROM Flashing/ Rooting Tool from here. Download Latest version of Samsung Stock ROM Firmware (Flashable File) for your Samsung Device. Step 1: First of all, enable USB Debugging on your device. To turn on the USB Debugging, just enter to Developer options. Navigate to the Settings>About Phone> then tap on the Build number 7-8 times until the message ‘Developer option enabled’ displayed. Once the developer options are active, you can go back to the settings>Developer options>Enable USB Debugging. Step 2: Assuming you have already downloaded the latest version of Odin. If in case latest version of Odin is not working for your device, or having some problems, then just download the appropriate version of the Odin software. Step 3: Make sure that you have already downloaded the latest version of firmware for your Samsung Device. Then, just extract the zipped file of Odin to your computer, and then install the latest Samsung USB Drivers in your computer. Step 4: While the device is turned off, press the ‘Power+Volume Down+Home’ buttons simultaneously, and this will put the device into the Download Mode. If this Key combination didn’t worked for your, then just search for the key combination for your device in Google. Step 5. Now, connect the Samsung device to computer through USB Cable. Then navigate to the folder where Odin files were extracted, then right click on the ‘Odin’ executable file, and click ‘run as administrator’. Step 6: The interface should display something like below with ‘ID:COM’ mentioned, and carefully check the interface below. Step 7: Notice the ‘ID:COM’, and there is a blank space underneath, which would turn blue after the device gets recognized. The device should be recognized, if your computer have correct drivers installed. Step 8: Next, what we need to do is to just click on ‘AP’ and then go to the firmware archive, and locate the .tar.md5 file, and select the same after clicking on ‘AP’. Note: There is a PIT section under the Re-partition. Do not place any file under the ‘PIT section’, and also ensure that ‘re-partition’ is not checked. Just tick/ check the ‘Auto Reboot’ and ‘F. Reset Time’ options. Step 9: As soon as firmware file is loaded into the AP Section, the process can be begin to start the flashing or installation. Make sure that you do not touch the USB cable while the flashing process is running. Step 10: If everything goes fine, then at the end, you will see the message ‘PASS’ or ‘RESET’ in the green color, which would indicate the flashing process has been completed successfully for your device, and it now has latest firmware. At this stage, the device would reboot automatically, don’t be panic, this is normal. Now, you can disconnect device from computer. 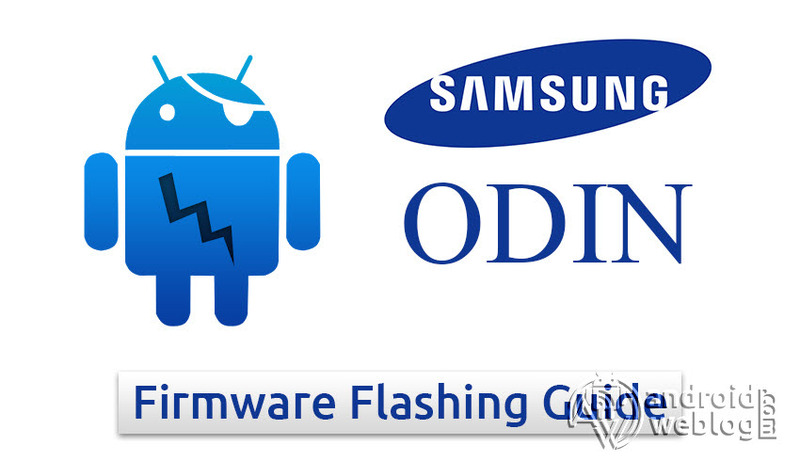 That’s all, this is the procedure to flash Stock Firmware on any Samsung Device via Odin. I hope that the process has been completed successfully. But just in case, if process got failed, that just cross-check the instructions mentioned above, and keep them for your future reference. You can bookmark this page for your future reference. Was your Samsung device’s update successful? Do you have any other method to suggest?